Six years after retiring as chairman and managing director of Oriental Bank of Commerce, BD Narang, 66, is earning Rs 8-10 lakh a month as a management consultant. This is more than his last drawn annual salary at the bank. VK Anand, 67, used to earn Rs 2,000 a month when he retired from the air force at the age of 41. Today, as a distributor of mutual fund and insurance products in New Delhi, he makes Rs 2 lakh a month. The two are admirable examples of financial success. Then there are people who chased their dreams and made a career out of them. Take Asis Kumar Sanyal, 63, from Kolkata. In his 31-year banking career, he never travelled outside India. As a freelance photographer, he has visited seven countries in the past six years, all on work. 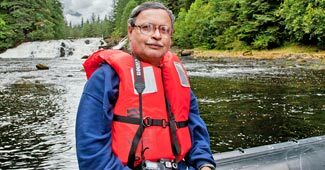 Sanyal has exhibited his works at various national and international forums and has been part of expeditions to places such as Alaska and Peru organised by National Geographic. Was a Banker till 2001. Never travelled outside India, while at the bank. Now, a Freelance Photographer, he gets to tour the world and earn well. A self-taught photographer who sharpened his talent by attending various workshops. All you need to do is take the plunge and be passionate about your work and the rest will automatically fall in place. "Photography was my passion from a young age. Taking it up as a career after retirement wasn't a planned decision. It was almost a necessity to fulfil my dream," says Sanyal, who has won many awards, for photography. Today, things seem bright and rosy. However, financially, it was a tough call for the family back then, as his son was still in school. What helped him was his decision to buy a house when he was with the bank. He also paid off his loans and was debt-free at the time of quitting the job. "Though we didnt have a lavish lifestyle, my pension and income from photography assignments were enough to run the kitchen," says Sanyal. He agrees that a bit of extra planning would have made the transition smoother. With increased longevity, more and more people are choosing to work after retirement. Whether by choice or not, one thing is clear-it requires a lot of patience and careful planning to build a second career. You may have to change your lifestyle, plan finances and acquire new skills and knowledge. Ideally, most planning has to be done during the earning years, especially the finances. The most important aspect is financial stability. One should build a corpus to cover expenses for at least six months after retirement, the time you may need to zero in on the right opportunity. Also, you will have to tweak your financial portfolio at intervals. "The tweaking has to be done every five years to align the debt-equity mix. As a general rule, one should not have more than 30% exposure to equities," says Anil Rego, chief executive officer and founder, Right Horizons, a personal wealth management firm. Insurance plans should be an essential part of planning and must be bought for the long-term. Inflation is another important factor to be considered while calculating the required corpus. "Invest in products whose returns beat inflation. Rather than putting all your eggs in one basket, you can consider a mix of mutual funds, bonds, fixed deposits, insurance and real estate. Tax efficiency also needs to be taken care of. All this may get you returns that beat inflation," says Rego. 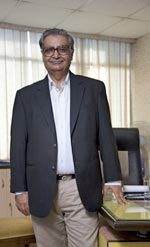 Was the CMD of Oriental Bank of Commerce till 2005. Now, as a Management Consultant, helping companies to restructure, he earns around Rs 8-10 lakh a month. Did extensive reading on equities and acquired first-hand knowledge on the job. If someone has entrepreneurial capabilities, he should never sit at home. I feel I should create at least hundred jobs at the end. At retirement, you can invest in debt mutual funds. Go for monthly withdrawals if the new career doesn't provide steady cash flows. For those close to retirement, the path to building a retirement corpus is a bit steep as they have to amass the required money in less time. "Apart from usual options like post office deposits, senior citizen and RBI bonds, there are some mutual funds-liquid plus funds, fixed maturity plans and monthly income plans-which can be considered," says Abhinav Angirish, founder, www.InvestOnline.in. There is also a need to reduce liabilities. Else, equated monthly installments have to be factored in, an additional burden. "No insurance is required at this stage," says Arvind A. Rao, chief planner, Dreamz Infinite Financial Planners. If you want to work after retirement because you weren't able to save enough during the working life, the second career can be an opportunity to make amends. "Such individuals will have to be disciplined and use a major part of their income to invest because they may not be able to work all their life," says Rego. Hence, there is a need to plan for the later part of your post-retirement years as well. "They need to be a bit conservative as the risk appetite diminishes in later years. If possible, consult a financial planner who can help you plan your investments so that your expenses match the returns. Try to keep the principal safe and get maximum benefits from tax-saving instruments," says Rego. For Suresh Gaur, 55, a resident of Delhi, taking retirement from his bank at 52 to work in the field of communications was a well thought out decision. Was a Banker till he took voluntary retirement in 2008. Now, as a Communication Specialist, he earns around Rs 50,000 a month while pursuing his dreams. He already had the requisite experience and skills, he says. Don't wait for retirement to do what you love. Look for opportunities that suit you the best and success will be yours. "I was coerced into the career. However, I realised I cannot shift my field of work without planning," says Gaur. He had acted in various stage shows and TV productions, directed 40 stage productions and anchored a few shows for Doordarshan. Therefore, he had the requisite skills and experience. The only concern was money. Though he initially planned to retire at 50, he waited for two more years till he had enough in his retirement fund. "When I had an adequate corpus, I deposited it in a bank and started looking for a job in the field of my interest. I was lucky to get a break within one week of retirement," says Gaur. Today, he multi-tasks-manages a public relations firm, PR4You, is part of the governing and management board of an NGO, Open Forum, and teaches at media & communication colleges as a visiting faculty. His retirement savings are intact and growing. Like Gaur, many would want to retire and pursue their dream careers. However, they should evaluate the financial feasibility of early retirement before taking the leap. Remember, in this case, the years to provide for self, spouse and other dependents will be more. If you don't plan early enough, you may have to postpone the plunge. So, timing is crucial. "Signing up for the voluntary retirement scheme (VRS) gives a lot of immediate benefits like annuity and superannuity, gratuity, compensation, etc, from his organisation. This money can be invested. You can start using the systematic investment strategy once you start getting regular income," says Angirish. Risk appetite is important too. "Before retirement, the portfolio should be gradually changed from aggressive to conservative. After VRS, the portfolio should meet all three requirements, safety, liquidity and yield," says Rao. "If your risk profile does not permit you to invest in equities, one can invest in debt schemes through systematic investment plans. You can opt for a systematic transfer plan (STP) as well. A STP will enable you to shift from equity to debt as you get closer to retirement," says Angirish. Was a Hydrologist in a government organisation till 2006. Now, he is a Freelance Sports Journalist and runs a website to contribute towards development of our national sport, hockey. Undertook a 3-month training at NIIT to learn the basics of running websites. Life is more beautiful and productive when you choose to do something fruitful in the second innings of your work-life. Once the finances are settled, it is time to find a suitable career. 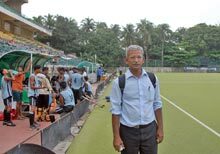 K Arumugam, 53, a former hydrologist, took early retirement after working in a government organisation for 22 years because he wanted to contribute to the development of our national sport, hockey. His objective was clear-write and create awareness. He started by taking up assignments from news agencies and launched a website, www.stick2hockey.com. These days, he also runs a programme, 'The One Thousand Hockey Legs', which aims to introduce school children to hockey. Arumugam had a target. But not everybody is like him. You may want to work after retirement but are not clear what you want. the tricky question is, should you stick to your first profession, convert a hobby into a full-time career or take up a part-time job? If you are in a senior position in a private company and want to extend your work life by a few more years, it may not be difficult. "Private companies try to hold on to their employees. However, it may be difficult to get an extension in a public sector undertaking. 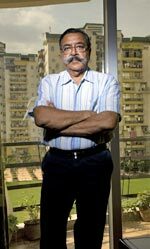 For a mid-level employee, too, finding a job after retirement can be a challenge," says E. Balaji, CEO, Mafoi India. There is no organised hiring of the retired in India, a big constraint. Apart from making cold calls on job portals, talking to staffing agencies and registering at professional networks, stay in touch with people in the profession. "Nothing works better than networking and the best way to find a job in the desired field is to know people in that field," says V. Suresh, executive vice-president and national head sales, Naukri.com. To be in the career of your liking, start doing your homework at least 12 months before retiring. "Identify the location where you want to settle after retirement, talk to a few top head hunters, find the organisations you may like to work with and contact their HR departments," says Suresh. However, what if you don't have a clear-cut career in mind? Hema Ravichandar, strategic human resource advisor and co-founder of ExpertEase, a not-for-profit networking effort that connects senior professionals in India with organisations and NGOs, says,"Education, administration, human resources, public relations, hospitality, finance and consulting are some areas where we see recruitment of retired professionals." "Also, they can explore opportunities in writing for magazines and websites. There's a very lucrative market for teaching international students. With a computer, a web-cam and a Skype account, senior citizens can teach on the Internet and make good money," says Hema. You may need to read, go through additional training or get another qualification, depending on what youre considering. When VK Anand retired from the air force, he was a matriculate. He realised he had a talent for sales and financial products and did his graduation and MBA. Retired as Colonel in the Indian Army in 1996. Now, as a Certified Financial Planner, he runs his own firm and earns more Rs 1 lakh every month. Cleared the certified financial planner programme in 2006. If you retire at 60, what will you do for the next 20-25 years? The point is to keep yourself busy and fit, both physically & financially. Arun Gupta, who retired as a colonel from the army in 1996, is a certified financial planner. "It is a tough course. Getting a certificate was hard. I used to lock myself in a room 20 days before exam and study for 16-18 hours a day," he says. Arumugam took a basic three-month computer training before launching his hockey website. The turning point in Sanyal's second career came with winning the Grand Award in Intercontinental Insights Photo Contest of 2007, organised by National Geographic Society, NGTI Ltd. and Intercontinental Hotels Group, in London. "I had no formal training in photography. However, I attended two workshops as part of my Grand Award. I also attended another photography workshop in LOOK3 Photo Festival, 2008, in the US under David Alan Harvey. These helped me sharpen my talent," says Sanyal. Self-employment is a little tricky. You need funds to set up your business as well as keep running your household. "You can build the corpus required for the business with slightly higher exposure to equity. For household expenses, you have to be more conservative," says Rego. Whether you decide to extend your tenure in the current job, start a business, work part-time in the field of your expertise or enter a fresh field, the key to success is to do something you love, albeit with enough resources to back this new beginning.